My daughter is three and she loves to do everything I do, especially when it comes to cooking. I try to have her help as much as possible but sometimes there are things that I don’t want her around. I decided to create a dessert that was completely child friendly that we could make together. 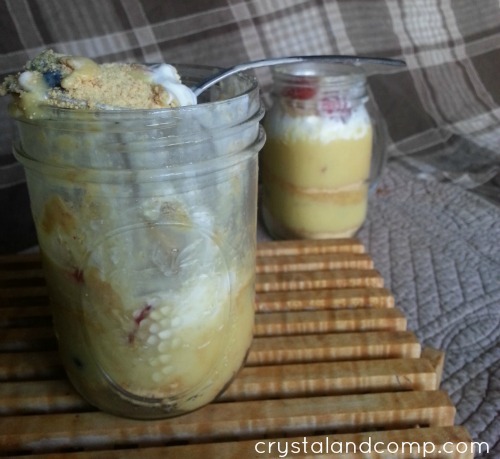 We made a layered pudding dessert that was the perfect indoor activity for kids on a hot summery day. It was super easy to make and even better to eat! If you’re looking for more real easy recipes, Crystal & Co., has you covered. 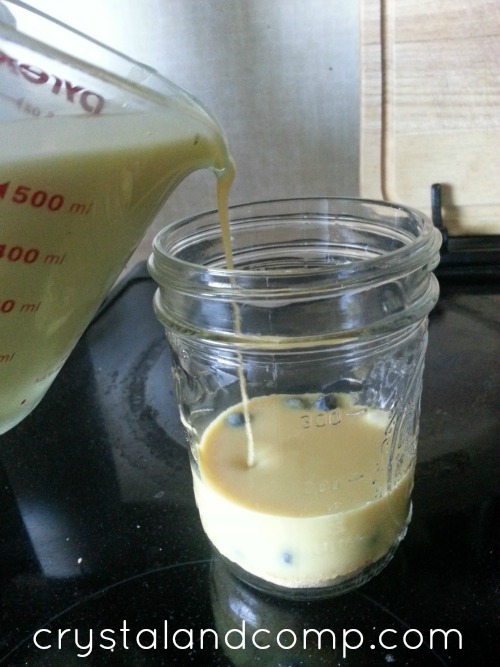 We made the instant pudding according to the box and left it sit in the fridge for a bit to thicken. I let Ryley pour graham cracker crumbs on the bottom of the jar. We then layered it with fresh blueberries and our pudding. She really loved being able to help me pour the ingredients in the jar! It was fun to watch her face light up with excitement because she was helping in the kitchen. We finished off the dessert by adding a second layer of graham cracker, fruit and pudding. This topped the whole thing off with a generous amount of whipped cream a few more pieces of fruit. Set it back in the fridge until you are ready to eat it or enjoy the fruits of your labor immediately! We went with the eat it right away option. 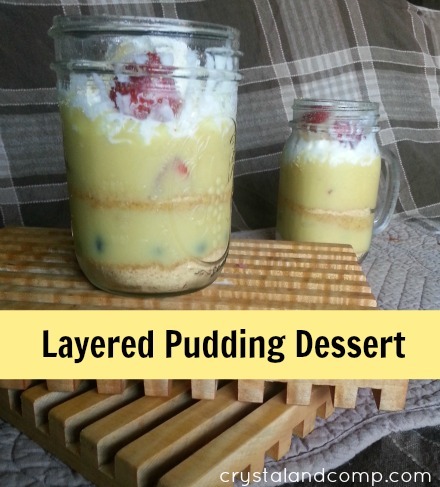 We had so much fun making this tasty layered pudding dessert together! It was nice to make something that my daughter was able to help me with and we were able to enjoy together. I will be thinking of other things we can make in the kitchen together, especially during these hot Texas summers! Kelley is the mastermind in charge of her family. She loves to spend time crafting, cooking and making her kids laugh. She believes she was destined to be a comedian but has put her stand up dreams on hold to raise her two kids. She blogs about her family at thegrantlife.com and often entertains her readers with her wise cracks. Looks delicious! Thanks for the recipe. Pinned it! You are so awesome Virgina! Thanks for pinning. Enjoy the recipe. I know your daughter enjoyed helping you and this is how she learns her way around the kitchen. Your pudding recipe is interesting and I would love the blueberries in it too. I love this little jar of goodies! Hope you are having a great summer weekend and thank you so much for sharing with Full Plate Thursday.